Anneli Gerber and Esther Jacobs agree that the marine spaces in the greater Mossel Bay area are priceless assets. MOSSEL BAY NEWS - In a groundbreaking - or rather ocean-saving move for Mossel Bay - an active local marine conservationist has initiated a plan to encourage companies to minimise plastic use. In return, these companies attain recognition as being conservation-minded and there are marketing benefits for them. Esther Jacobs started and owns the organisation, Keep Fin Alive, which creates awareness of marine pollution. She is also the conservation manager at Oceans Research, a Mossel Bay company which hosts marine science students from overseas who come to town to do the practical parts of their courses. Jacobs has the backing of Mossel Bay Tourism for her new project, called Clean Ocean Company. She will provide a set of criteria in order that a restaurant, for example, can become a Clean Ocean Company. If the establishment meets the criteria, it benefits from a listing on the Mossel Bay Tourism website as a recognised conservation-minded company. Jacobs says she wants to give companies the same type of status they receive when they are listed and rated by TripAdvisor. A Clean Ocean Company will receive a notice incorporating a special logo to display, publicising its listing so that all visitors can see it. Of course the firm can also publicise this in their print, online marketing collateral and social media platforms. 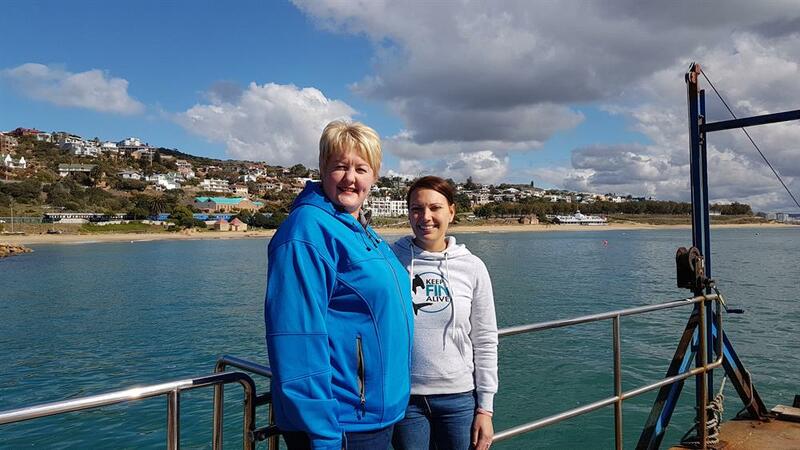 Mossel Bay Tourism chief operating officer Anneli Gerber says: "The ocean and bay are a huge drawcard here so we need to protect marine life. We believe that small changes can make a large impact. If our ocean is healthy, tourism will be healthy. It is a ripple effect. That is why Tourism is backing this project." Jacobs points out that a number of local restaurants have already come on board by saying no to plastic straws, polystyrene "doggie bags" and as far as is possible, no to single-use plastic. A company which hosts many tourists in town, does not provide bottled water, but asks clients to bring their own reusable cups which can be filled, she mentions as an example. "Those thin plastic bags that supermarkets provide on a roll which you put vegetables and fruit in to be weighed, are among the worst items for the ocean - so dangerous for marine life. I use this when I buy some broccoli and have it weighed," she says, taking a fine mesh bag out of her handbag. Part of Jacobs' plan is for people to have Plastic-Free Fridays. "We will try to say no to single-use plastics the whole day. Take reusable bags with you and try not to avoid single-use plastic on Fridays." She urges: "Please give up using plastic straws. If restaurants and bars see that their patrons are not using them, they will stop supplying them." Alternatives to single-use straws include bamboo and stainless steel straws. In her awareness material on Clean Oceans Company, Jacobs points out that up to 40% of plastic dumped inland ends up in the sea via waterways and that about eight million tons of plastic is dumped in the ocean every year. Find out how to become a Clean Ocean Company. She thanks her supporters of the project: Mossel Bay Tourism, Oceans Research, White Shark Africa and the Garden Route Casino Community Trust. Interns at White Shark Africa had already started approaching businesses about Clean Oceans Company, she said. Jacobs urges Mossel Bay residents to join the beach clean-ups being organised on the coast for 15 September, which is International Coastal Clean-Up Day. So far they are taking place from 10:00 at the Point, Dias, Little Brak and Great Brak. She said the Department of Environmental Affairs was supplying special bags for picking up nurdles (the small plastic beads used in packaging) and providing gloves.